Bullet Journaling, also known as BuJo, was created by Ryder Carroll. Bullet journals make use of a technique called rapid logging, which records information as bulleted lists in a blank, undated journal. 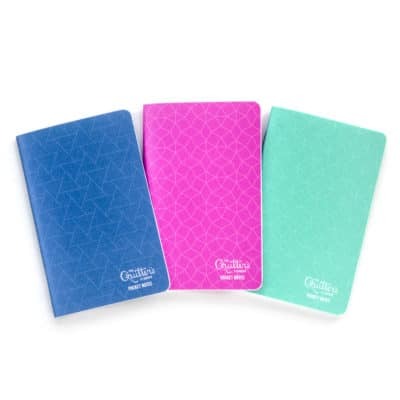 Although you may be using a dated planner like the Quilter’s Planner, you can easily adopt and use many of Ryder’s bullet journaling techniques and suggestions in your daily life. The techniques are utilitarian and beautiful! The main entries typically entered in a Bullet Style Journal include Tasks, Events, and Notes, which are logged into different sections. 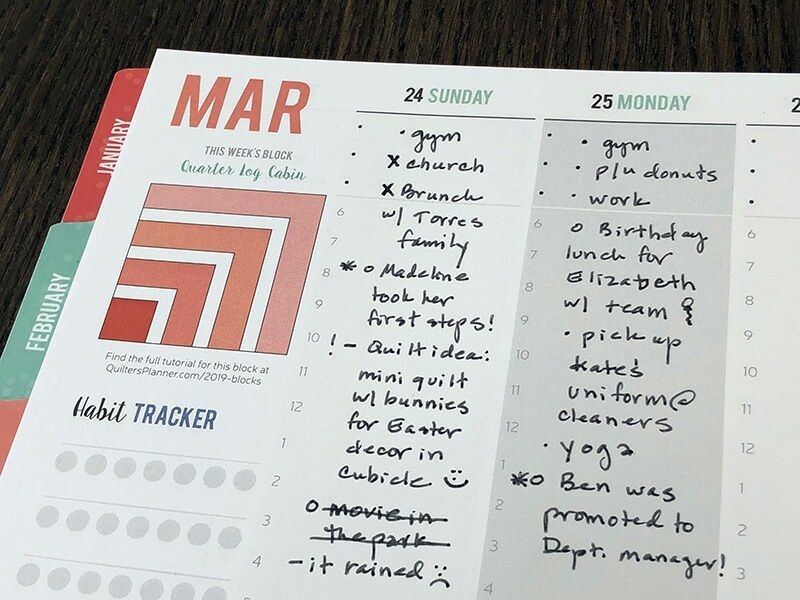 Many bullet journal users purchase simple, undated, unlined books and create their own artistic spreads for their monthly or weekly calendars where they can track these entries. Bullet journals require few materials – just a journal and a pen. Many BuJo practitioners continue in this simple, effective, no-frills manner. They focus on the method of listing at its purest and forgo adding decorative elements. On the other hand, some BuJo enthusiasts have changed things up by creating decorative, illustrated pages and spreads. They often include elaborate lettering and drawings amongst their pages and create lovely works of art in their Bullet Journal. Wait, I Have to Draw?! NOPE. 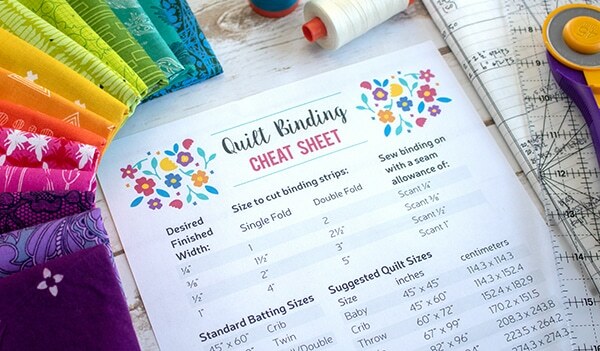 This article will focus on the basics of BuJo, and how to fit this efficient method into our already fabulous Quilter’s Planner. So, if you’ve seen elaborate BuJo spreads and immediately disregarded the idea of using Bullet Journaling in your Quilter’s Planner, please give it a chance. The only things you need to “draw” are the simplest of symbols like dots, open circles, and dashes! 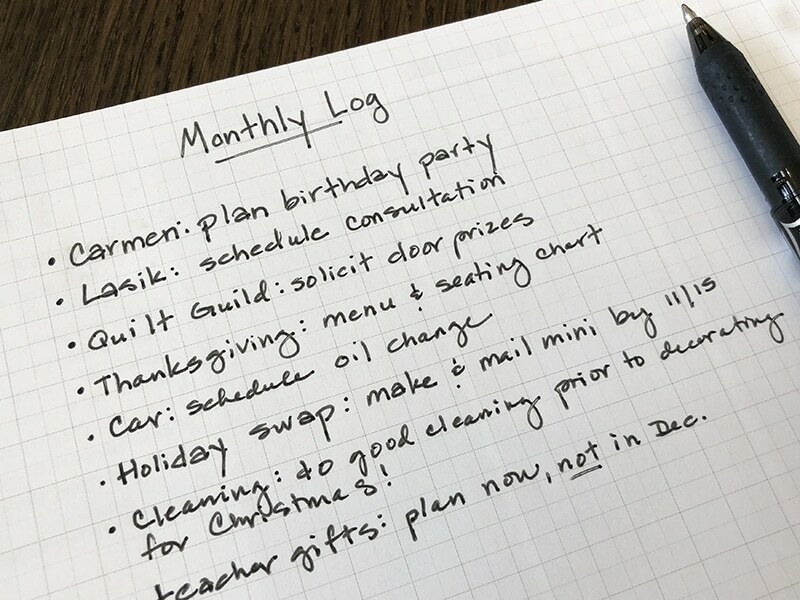 Key sections of a typical Bullet Journal include the Index, Future Log, Monthly Log, and Daily Log. 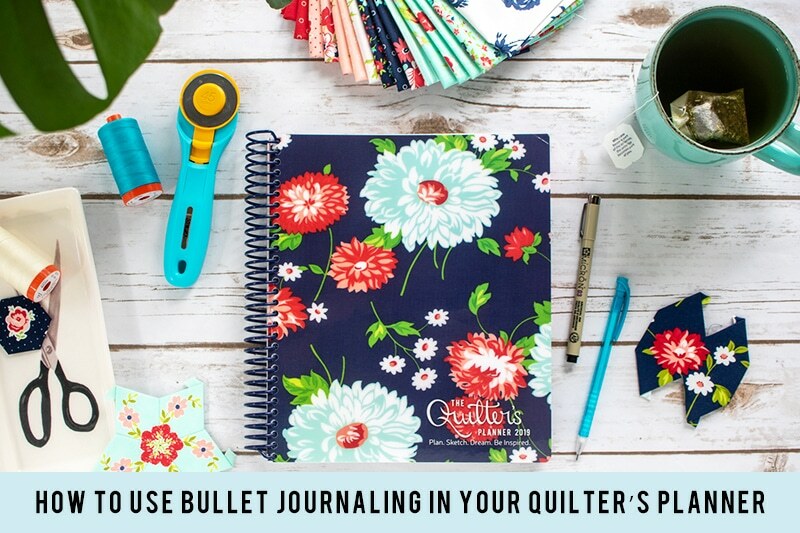 Because we’re going to Bullet Journal within the pages of our Quilter’s Planner, we can omit the Future Log – which typically stores future dated entries because pages for the month haven’t been created yet. Our future months are already in place – hurray! 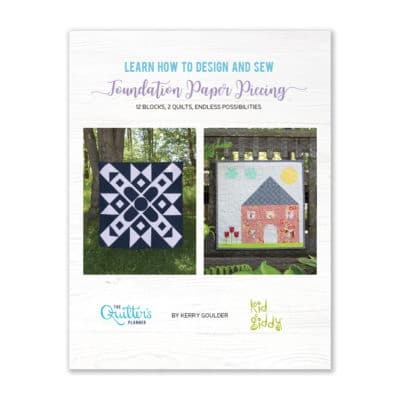 Index: This should be located in the front of your Quilter’s Planner. The Index helps you to quickly locate information that isn’t month-specific, like lists of books you’d like to read or an ongoing wish list of fabric collections to which you’d like to treat yourself. Consider adding Index pages using one of the methods shared here. In order to accurately log things in your Quilter’s Planner BuJo Index and find them quickly later on, you’ll need to note both the planner section and page numbers. 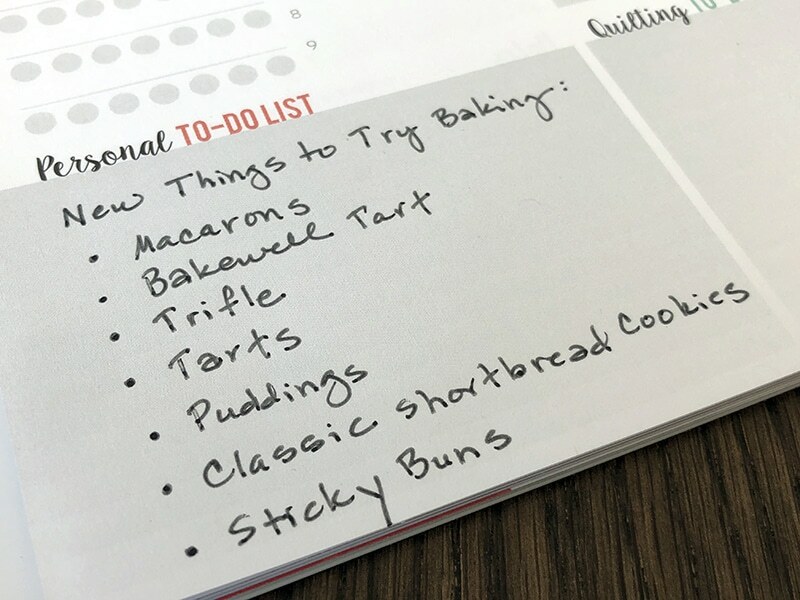 For example, the baking-related list shown above is found on the 3rd and 4th pages of the March section, so it would be logged in the Index as March 3-4. Monthly Log: A typical monthly log consists of a Calendar and a Tasks Page. The Tasks Page is where you take inventory of the upcoming month. It is where you log priorities and note the items you have yet to do that are carrying over from last month. We suggest you use the blank grid page preceding a month’s calendar spread, which is located to the left of the quilt and quote page that’s on the right. Since we already have a calendar spread in each month of our Quilter’s Planner, we don’t need to add anything for our birds-eye monthly view. Daily Log: The daily log is intended for (no surprise here) daily use. 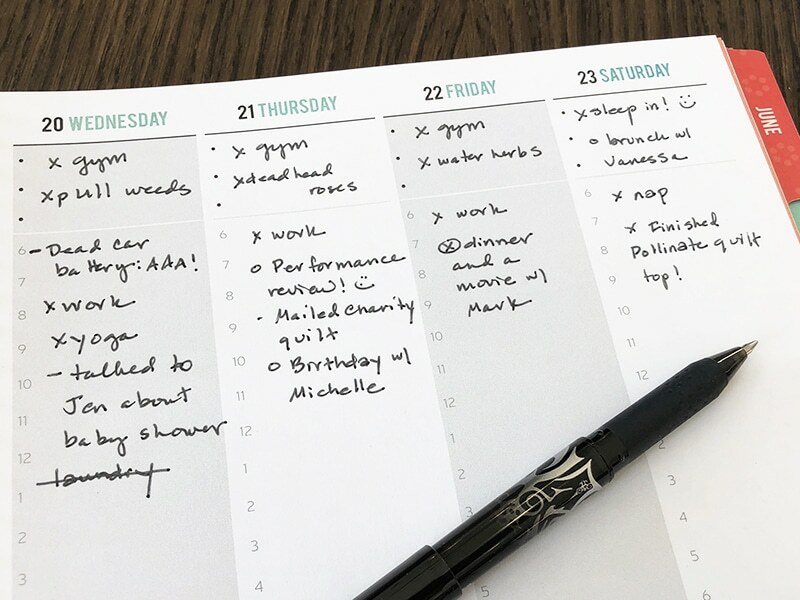 Traditional Bullet Journal users working in a blank notebook have to create their daily logs as they go along, but we have the advantage of using the daily entries in our weekly spreads. 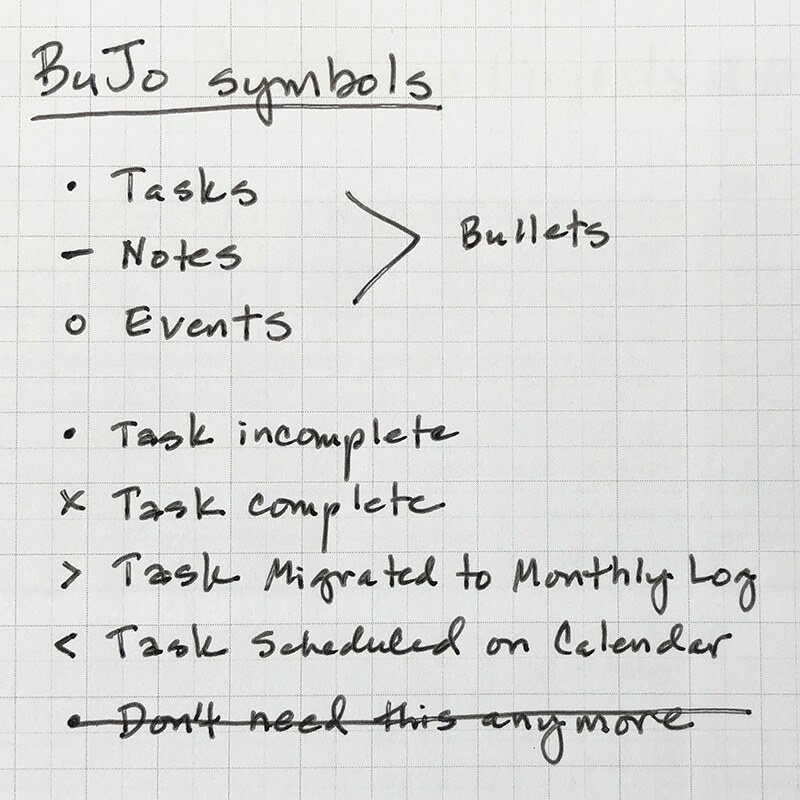 As you go through your day, use the rapid logging technique and BuJo symbology to record your tasks, events and notes. Quick and easy! Are you ready to try Bullet Journaling? Let’s review the symbols you’ll be using. Each item in a list starts out with one of three symbols: a dot, an small open circle, or a dash. These symbols represent tasks, events and notes. 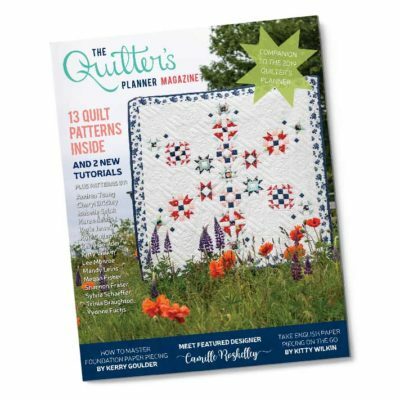 Event example: Quilt Guilding Meeting at 7 p.m. Note example: My niece, Madison, took her first steps today! Each entry symbol is eventually changed when it’s completed, migrated, or crossed out. Because we’re omitting the Future Log and are just using the Monthly Log, our migration symbols will have slightly different assignments than typical BuJo. 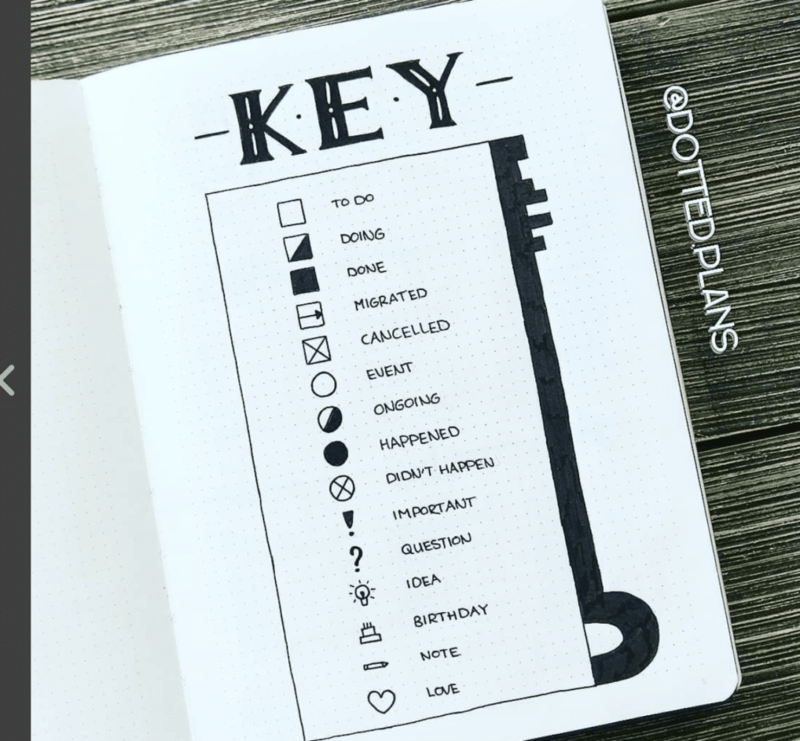 Many bullet journal users create their own key instead of using the “official Bujo Key” or using those suggested above. 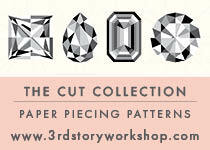 This is just one more way you can tailor your journaling/planning to your own personality! The example below by Michenou of Dotted Plans (on Instagram) shows the key she developed for her own BuJo. 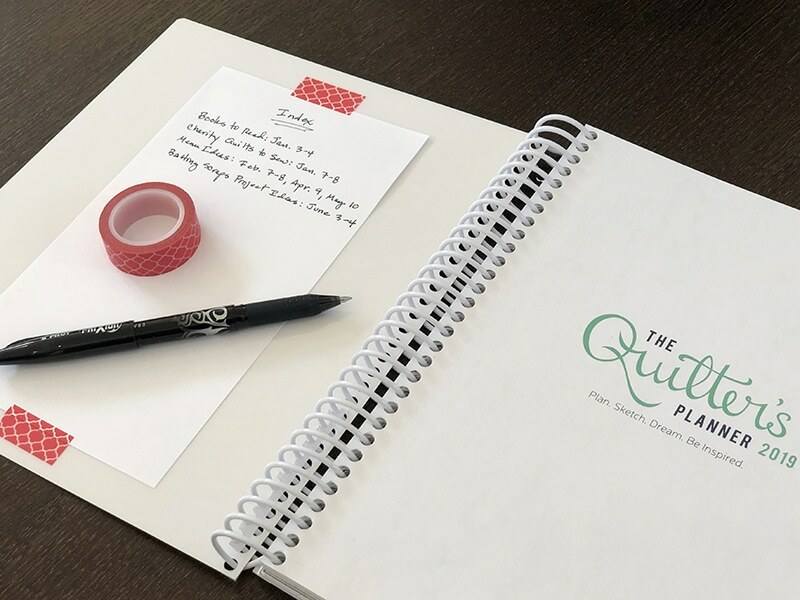 While this is by no means an extensive exploration of Bullet Journaling, we’re happy to provide a peek at yet another efficiency method that can easily be used in your already-fabulous Quilter’s Planner. Do you plan to dive into BuJo with both feet? Maybe just dip in a toe by adopting some of the symbols into your lists? Do tell! We’d love to hear from you via email, Facebook, or Instagram.